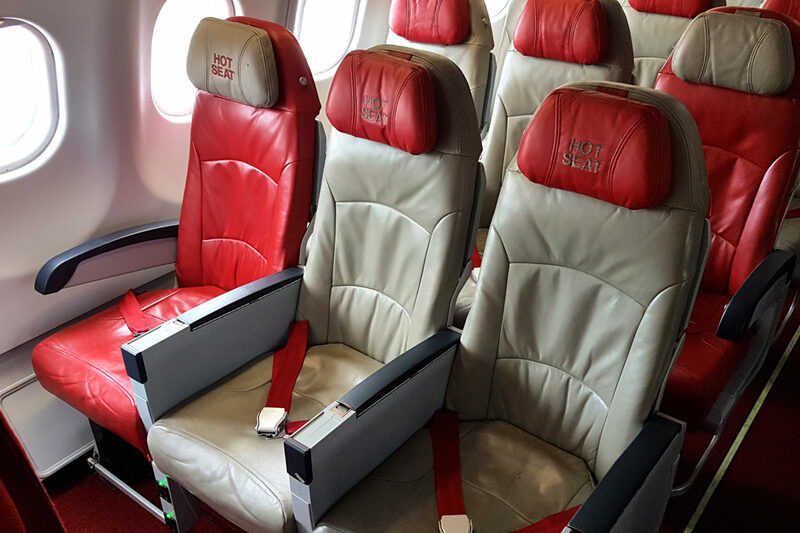 For a short 5 hours flight from Kuala Lumpur to Taipeh, I booked AirAsia, a Malaysian low-cost carrier. 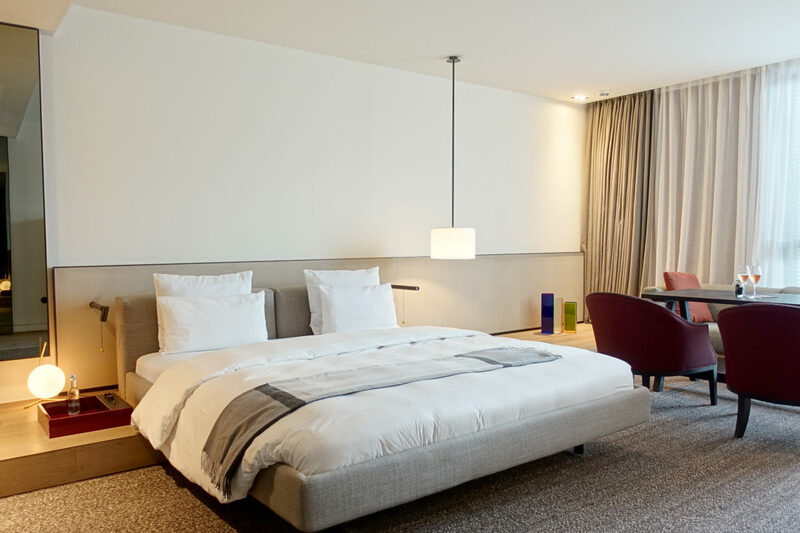 They offer a class called „Premium Flatbed“ which is not to be confused with business class but offers some of the perks of it – first and foremost the seat. As the price was (ridicolously) low too I was all set after booking directly on their website. AirAsia offers dedicated check-in counters for their Premium Flex and Premium Flatbed customers. This is a great convenience as the economy queue of my flight was particularly long – despite the ability of online or kiosk check-in. With the swift repeat of my boarding pass, I had more than hour to spare till boarding. 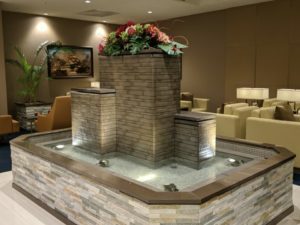 Honestly, the experience at KLIA2 was more of a letdown. 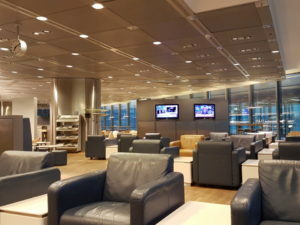 You do not have lounge access and the terminal is rather crowded. There are retail stores and cafés but not much more. It was even hard to catch a seat for waiting. Consequently, I was happy when boarding was announced. 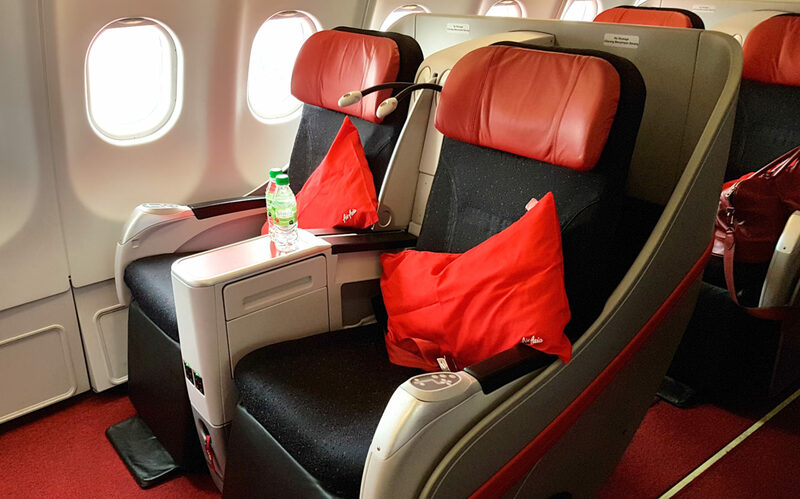 Compared to real business products like in my Emirates business class review or Singapore Airline business class review, the AirAsia product is stripped down to essentials. 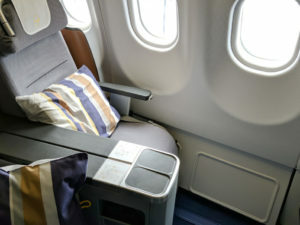 The flatbed seats are in the very front part of the cabin, two rows in a 2-2-2 configuration – 12 seats in total, separated by a wall from the „quiet“ zone. The seats are rather new although they were not spotless clean on my flight. 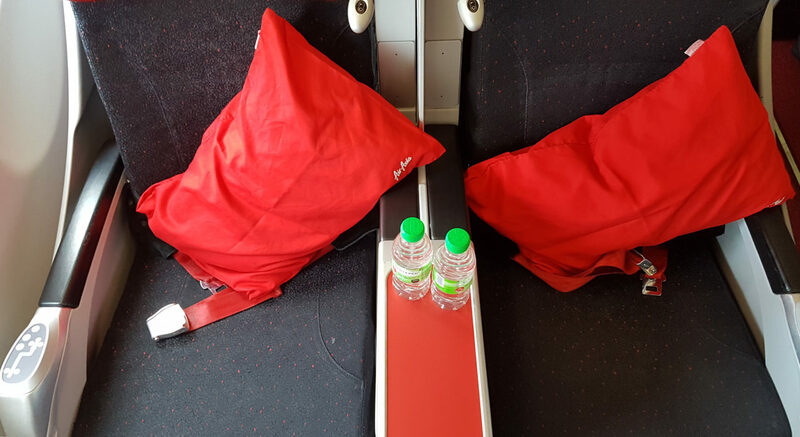 A pillow and small bottle of water are waiting and you will receive a blanket after takeoff. There are no other amenities such as socks, eyeshades or headphones, it’s low cost after all. The first row has quite a bit more leg room but the second row still has more than enough. 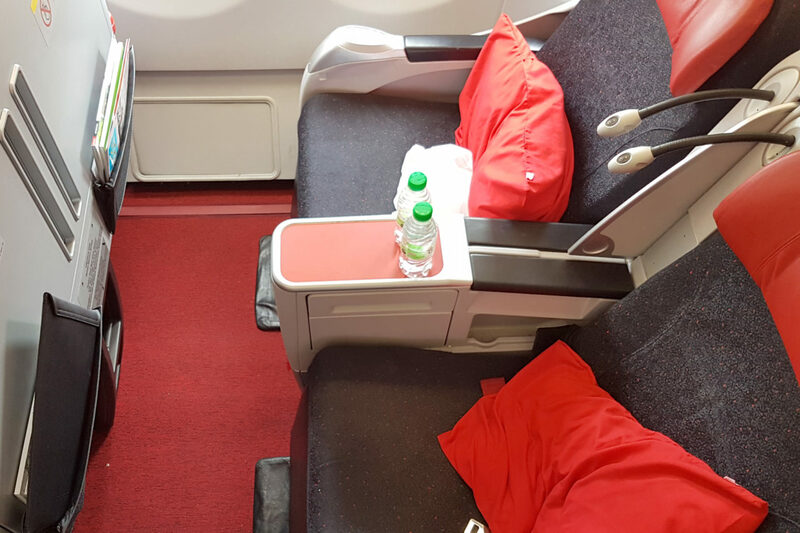 This is row 2 of the AirAsia premium flatbed seats with very good legroom. The seat is controlled through a panel in the armrest. In some funny logic it’s noteworthy that the „flatbed“ seat is not exactly flat. It also remains angle-lie-flat, comparable to the one of Condor business class. 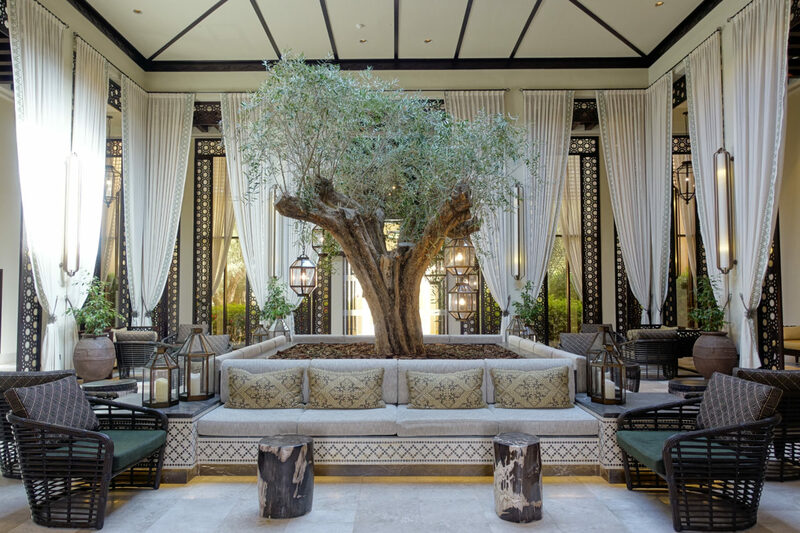 The seat is pleasantly wide and especially comfortable in „lounging“ position. The more you recline the greater the privacy as you can benefit from the fixed „wall“ between the seats. I did not sleep but can well imagine crunching an hour or two with a proper sleep on a longer flight, especially since AirAsia does not offer an IFE in their seats. They do provide tablets to rent but I did not try as I wanted to work during the flight. In comparison here are the premium flex seats of the “quiet zone” which starts just behind the first two rows. Storage options, for me an important topic, are plenty, aside from overhead drawers you’ve seatpockets, small magazine/ipad boxes, a table between the seats and (in row 2) a shoe cabinet. The premium flatbed product of AirAisa is an exciting premium between economy and a proper business class. 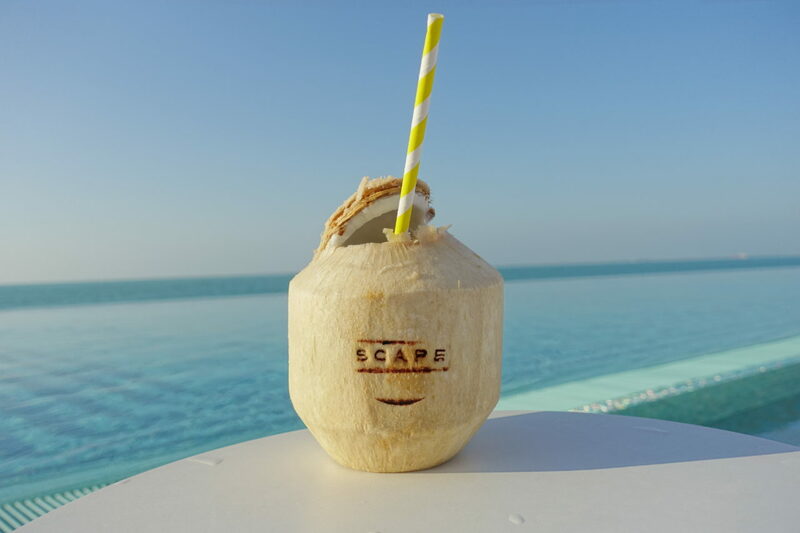 It strips away some of the frills of business class such as lounge access, champagne and high-end cuisine but radically focuses on what’s most important to most travellers: The seat and process convenience. This allows in return for a very attractive price tag and I can highly recommend this class for mid and long haul flights! I do hope to see such a product with other European airlines too – I will be your customer. Like to check the fares of AirAisa premium flatbed? 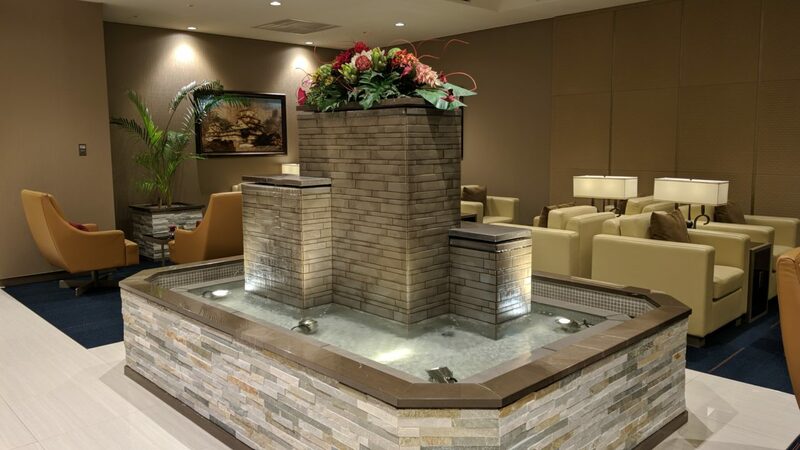 Like to read more air travel and lounge reviews?